For many Arizonans, getting a handle on what you owe on your home mortgage isn’t easy. For most of us, the mortgage is our largest debt and it is tied to our most value asset. Given that mortgage debt is a pressing concern, you would think that the company accountable for your payment progress would be on top of it at all times. But things have changed since the old days when you borrowed the money from a local bank to buy a home and that bank collected all the payments that you made on a loan. In those days, you might have even used the banker that put the loan together as your point of contact on the progress of your loan, maybe checking in on the visit to your local branch. Those days are long gone. These days, home loans are sold off to another entity moments after your home purchase closes. Moreover, the right to actually collect the payments often ends up with a different company than the company getting the payments. So maybe you start off your home lending adventure by financing a home purchase with a local Arizona bank and then you end up with one company that you have never heard of owning the loan and another company that you have heard bad things about in the news collecting the mortgage payments from you. First, you should probably know that if you ask what you owe, they might give you the principal balance. This is the remaining part of the amount that you originally borrowed. The reality though is that you may owe additional amounts for late fees, escrow advances and the like. What you really need to know is the amount necessary to pay off the loan in a sale or refi. One often surprising feature of the mortgage world is that payments are almost always credited to oldest unpaid month so if you fall behind for four months and then come up with a mortgage payment in say August, that payment will be credited to August but to that first payment you missed four months ago. Having a “servicer” collect your payments probably wouldn’t be a big deal if you worked with the same servicer from the inception of your loan to the day that you sold the home. Problem is the servicer change fairly often and who knows if the new servicer really knows all the particulars about your file or even has the balance right. The fact is that when there is a change in servicer, it is not uncommon for details about anything unusual in the loan account to be lost. It is easy to see how things can go sideways with a mortgage despite your best efforts and intentions. 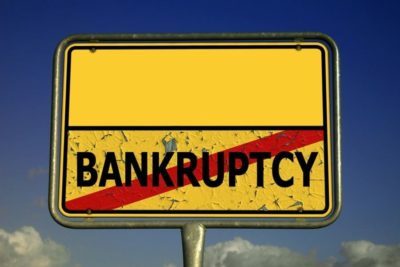 Thankfully many of these issues can be addressed properly through bankruptcy. If you do fall behind on your mortgage, the arrears can generally be paid back interest free over three to five years or through a refi years later. This can all be accomplished without any risk of reprisal from your lender or servicer. Moreover, lenders and servicer become pretty diligent about tracking on balances properly once the bankruptcy court has oversight with respect to the loan. If you are having debt problems including problems with your mortgage, please feel free to set an appointment at either of the Phoenix Fresh Start Bankruptcy Attorneys offices. We would be more than happy to help.